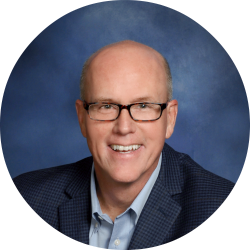 Stephen P. Smith inspires Christians to turn their profession of Christ into a possession of Christlikeness through the grace of God at work within them. MAITLAND, FL— Within the pages of Stephen P. Smith’s new book, DARE To Be CHRISTLIKE – Why You Must and How You Can, ($16.99, paperback, 9781498468305; $26.99, hardcover, 9781498468312) the author shares his lifelong pursuit of being conformed to the image and likeness of Jesus Christ. In today’s world, many people claim to be a Christian but bear little resemblance to the Christ they profess to follow. In addition to explaining why this is so important, the author also tells how love is the key to bridging the gap between a life that looks like Christ and a life that does not. He presents this topic in such a way as to give readers hope that becoming Christlike is not simply a noble pursuit, but possible through the grace of God at work in every believer’s life. Steve pens an honest testimony revealing his own flaws and failures to illustrate points and provide guidance to readers in a heartfelt, influential way toward the goal of being more Christlike. He is careful to not come across as judgmental but solely helpful and encouraging to the reader. This book presents a simple, yet timeless message challenging all readers to evaluate their relationship with Jesus as they journey toward becoming Christlike. Stephen P. Smith has been a Christian for 40 years and served as the director of worship and a Bible teacher in his local church for 35 of those years. The author compares himself to the words written about Ezra saying that he “set his heart to study the Law of the Lord, and to do it and to teach his statutes…” – Ezra 7:10. This message has been foremost in Steve’s thoughts, prayers, and meditations for over five years. It has transformed his life and like Ezra, he set himself to study and to do it before teaching others. This is how he can speak as an authority on this subject. 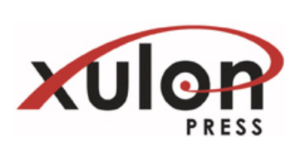 Xulon Press, a division of Salem Media Group, is the world’s largest Christian self-publisher, with more than 15,000 titles published to date. Retailers may order DARE To Be CHRISTLIKE – Why You Must and How You Can through Ingram Book Company and/or Spring Arbor Book Distributors. The book is available online through xulonpress.com/bookstore, Apple iTunes, barnesandnoble.com, and amazon.com. This book includes the added value of a reader’s guide for group discussion or personal study. It is also returnable to the distributor, thereby protecting retailers from financial liability.